Redwood City Hall is located at 1017 Middlefield Road, Redwood City, CA 94063; phone: 650-780-7220. Photo: Benjamin Lathrop House, ca. 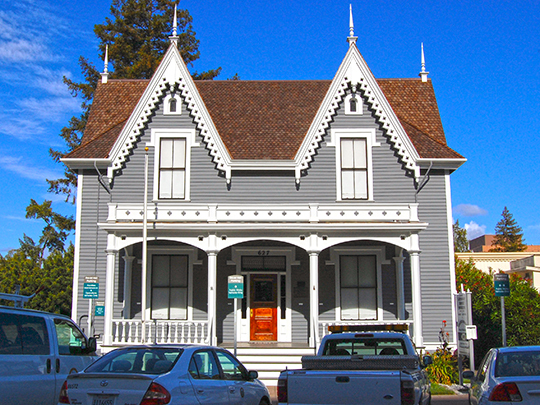 1863, 637 Hamilton Street, Redwood City, CA. Listed on the National Register of Historic Places in 1973. Photographed by User: Eugene Zelenko (own work), 2010, [cc-by-3.0 (creativecommons.org/licenses/by/3.0)], via Wikimedia Commons, accessed January, 2014.